MUKASHI MUKASHI by Birutė Mažeikaitė won the Fashion Makes Sense Award jury prize.Berlin based designer is awarded with a cash prize of €2.500,- to develop a new sustainable collection that will be presented during FASHIONCLASH Festival 2018. The audience award OF €500, (result of the most online and offline votes), went to Maastricht based knitwear label STRIKKS. The awards have been presented on October 12 by Daan Prevoo, deputy of the Province of Limburg. Fashion Makes Sense Award is presented during Dutch Earth Week that took place from 10 -14 October 2017 for the first time. In addition, Forza Fashion House organized a Sustainable Fashion Falk during the award ceremony. The talk, moderated by Elise Crutzen (fashion editor and writer) featured presentations by Jasmien Wynants and Carry Somers. The jury, consisting of Carry Somers (founder Fashion Revolution), Desiree Kleinen (Ree projects) Jasmien Wynants (Flanders DC/Close the loop) and fashion designer Elsien Gringhuis, was unanimous about the work of Birutė Mažeikaitė and the potential of her sustainable brand MUKASHI MUKASHI. Jury Award Birutė Mažeikaitė label name ‘MUKASHI MUKASHI’Birutė Mažeikaitė is the Japanese translation for once upon a time… According to her every collection is a new story to be told. Her designs are intended to make a person feel unique, protected and powerful. Under society’s pressure people often treat fashion as something they inherited and not as something they choose by themselves. We are acting to what is told instead of choosing what we really want. This current collection is about the inner battle between wanting to be unique and wanting to fit in. She prefers to produce her own work because she truly enjoys the process of creating and it helps her to come up with unique fabric manipulations. Audience Award STRIKKS is a design studio creating knitted textiles for its own brand and in commission. It’s a lab for research of all possibilities in knitting and production processes. Co-creation with other designers, architects and companies is their drive. STRIKKS thinks it’s important that you are aware of their clothes and production. That’s why they are investigating a new way of making fashion: a sustainable collection in which personalization has the lead. With an interactive method, they aim to engage you in the design process and give you more freedom of choice and better fit. Tailor-made fashion, digitally knitted, on demand and on the spot. This engagement is key for creating emotional value for clothing and it leads to longer wear. 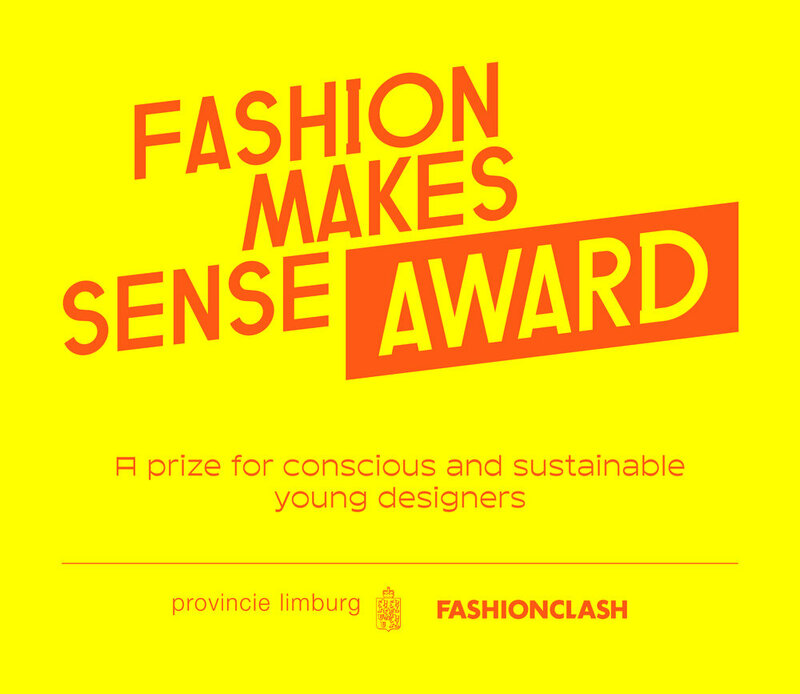 Fashion Makes Sense Award is a project by FASHIONCLASH, made possible thanks to support of Province of Limburg. The 9th edition of FASHIONCLASH Festival was dedicated to the theme ‘Fashion Makes Sense’, in which the focus was on the senses and the sense making in relation to fashion. The theme shed light on sustainability in fashion, by giving a stage to initiatives and designers and creating a dialogue between the audience and the fashion industry. With ‘Fashion Makes Sense’ FASHIONCLASH wants to excite young designers, the fashion industry and the audience and create awareness about sustainability in fashion. Fashion is of upmost importance in the economy, society, art, and creativity and for each of us. But, it has a downside: the impact on the environment, the exploitation on workers and the influence on our self-esteem. What is the importance of fashion in our society and how can fashion contribute to a better world and welfare.